Secret of the Mummy's Tomb (7441) may well have been the most popular of the Adventure Team sets, and with good reason. 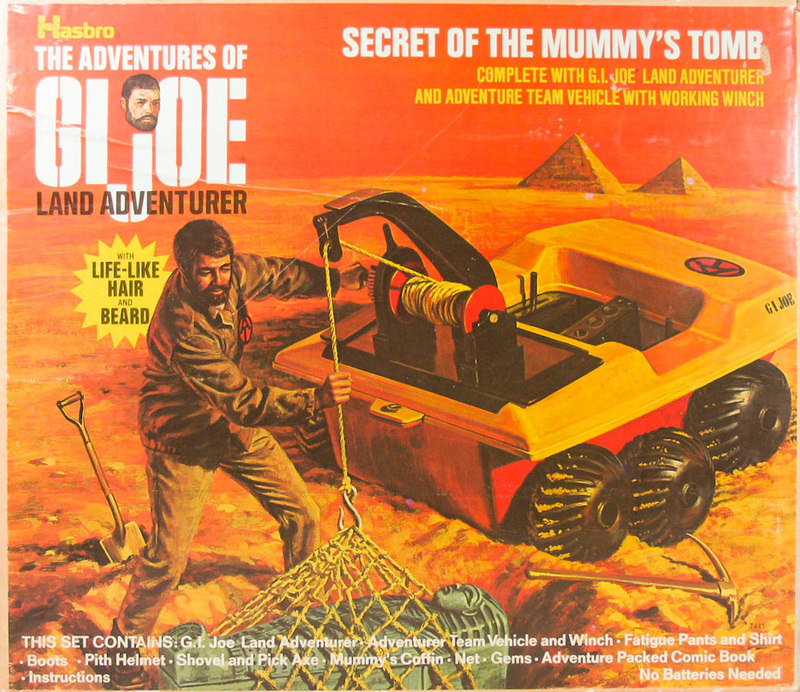 It introduced the classic six wheeled Adventure Team Vehicle (in case you were wondering what ATV really stands for) with working winch, and has a classic mummy case and gems that are fun to play with even if they are a bit out of scale for Joe. The pick and shovel are borrowed from the earlier Action Soldier Combat Construction card, though they are often molded in a lighter shade or more marbled plastic. The original box comes in two distinct shades, one with a more red tone and the other more orange. In 1974 when Kung Fu grip was introduced the box text was changed to show that. The 1974 version of the ATV was made from the same molds as the Trouble Shooter, and so has open grille work on the front and two holes where the windscreen would mount, though one wasn't included in this set. See Trapped in Coils of Doom for another incarnation of this great vehicle. 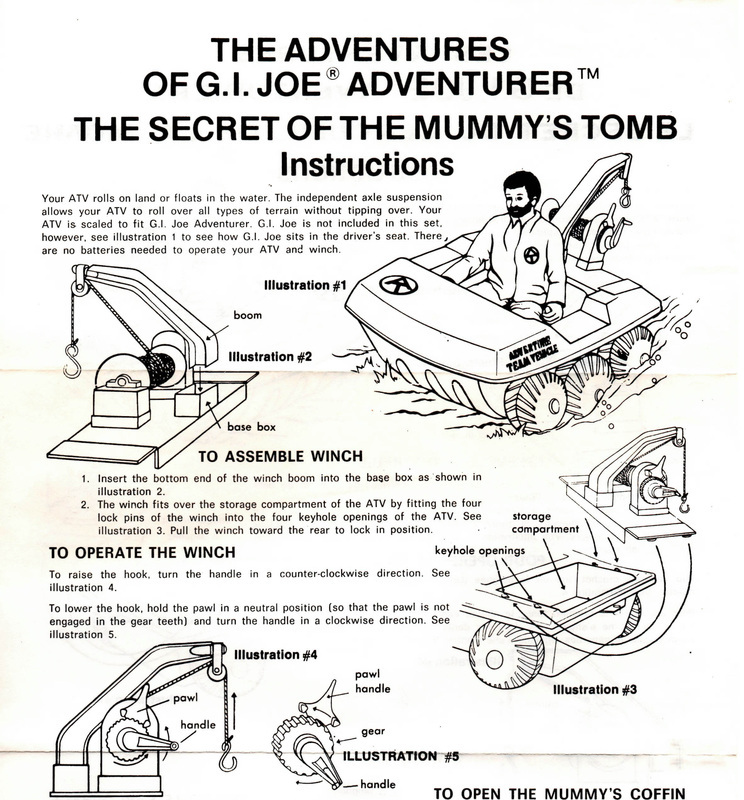 The ATV was also available as a stand alone toy with no figure or mummy included. Above, the box and below, the ATV from the 1974 Kung Fu Grip release of the set. Box image courtesy of Joezeta (check out his auctions with lots of great GI joe stuff here). Below. the tough to find late-issue set, image courtesy of John T. Marshall. The ATV in this box would likely have the vented front. as shown in the spin above.